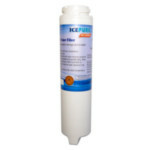 ThePureH2O PH21100 is the compatible Replacement for the Waterfall WFC1201. 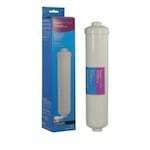 The PureH2O PH21100 Replacemet for GE GWF06 Replacement Smart Water Filter Cartridge fits many refrigerator models from GE and Hotpoint that utilize water filter cartridges. 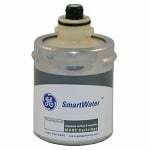 The PureH2O PH21100 is the compatible refrigerator water filter replacement for GE WR97X10006. 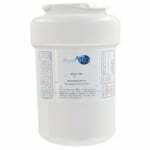 The PureH2O PH21100 is the compatible Replacement for the Waterdrop WD-MWF. 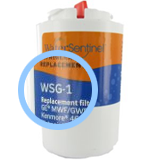 This is the Tier1 IN-WF0130 Compatible by FiltersFast. 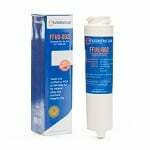 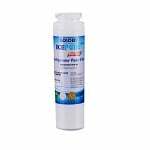 The IcePure RWF1500A is the compatible replacement for the GE 238C2334P001 Refrigerator Filter. 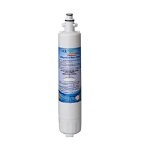 The PureH2O PH21100 is the correct refrigerator water filter replacement for GE PS981638.